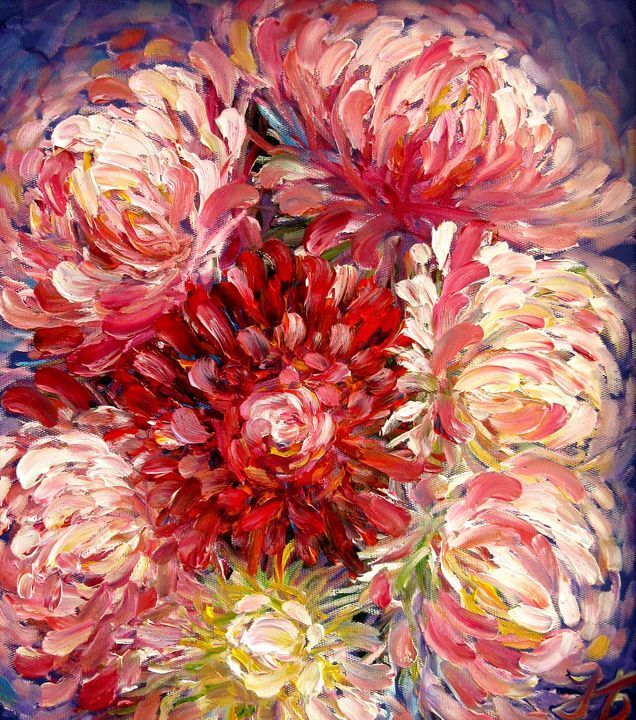 Heavily textured impasto floral oil painting inspired by summer garden Dahlia flowers. Ready to hang. 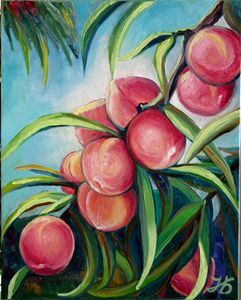 The artwork is professionally framed in a gold frame size 16X14".